I received an advanced reader's copy of this book through Goodreads First Reads. This review contains no spoilers. 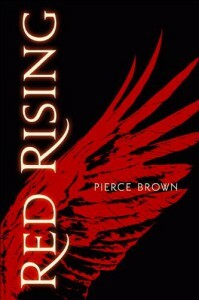 Red Rising by Pierce Brown. For once, I’d have to say that I did not devour a book. 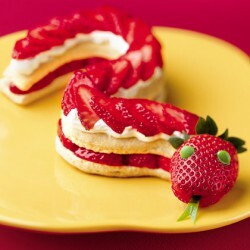 It devoured me. To begin, I should first point out what is starting to become a new pet peeve of mine, not with new dystopian novels themselves, but with the way they are advertised. Which is by comparing them all toThe Hunger Games. Now, I liked The Hunger Games well enough, but let’s be honest here. This book didn’t just “channel the excitement” ofThe Hunger Games. No. It sucker punched that excitement and launched it all the way out of this galaxy. I felt a lot more excitement, a lot more emotion, a lot more power, a lot more depth in this one book than I felt through the entire series of any other young adult book I have read recently. It was a good story told for the sake of being a good story. Not just to feed the masses with the same things they have come to expect and therefore will pay for – cheesy, happily ever after romances or love triangles that magically sort themselves out, characters that go through hell and back without a scar to show for it (unless it adds to their attractiveness), and one or two life lessons that are told, not shown. There are too many good things about this book to list them all one by one, so let me instead get right to why I've docked half a star. There are two main reasons. The first is no fault of the author – this type of book is usually not my cup of tea. Since I like the ratings on my bookshelf to be indicative of my tastes, I generally reserve five stars for only those books that feed my love of magic and dragons and steampunk. But then I thought about it and decided: hey, if an author can make a book so good that it drags me out of my literary comfort zone, then certainly I can make an exception and give it nearly five stars. The second reason is that initially, I had gotten lost without a proper explanation of the Colors of the social hierarchy and the combinedWords that popped up all over the place. Especially the latter. I understand that authors seek to come up with unique ways to describe their settings without resorting to a dull item by item listing, but not all of the new vocabulary was easy to understand without at least a little bit of background. But I ended up not taking away a whole star for this because it is not yet a final edition, and also these little confusions did not diminish the power of the story. Overall: wonderful characters, wonderful story, wonderful message. Something new and exciting for those who have gotten tired of the same dystopian formula that has recently plagued the young adult scene. Definitely highly recommended.